Check out some apps released by raywenderlich.com readers this April, including a social media app, a alternative locations map, a fun historical game, and more! 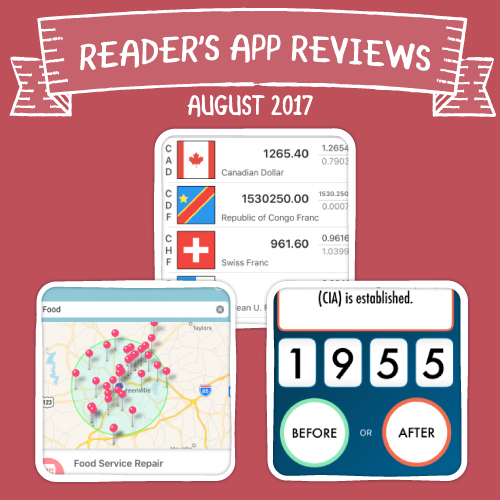 While many of you spent your week at 360iDev to expand your programming knowledge, I’ve been enjoying our reader’s apps for this month! I’m honored you are taking a quick break to see what the community has been building. Every month, readers like you release great apps built with a little help from our tutorials, books, and videos. I want to highlight a few today to give just a peek at what our fantastic readers are creating. Keep reading to see the latest apps released by raywenderlich.com readers just like you. If you’re the type of person who always loves to know what your friends are doing, while also making sure that they know what you’re up to, then Pingtumi is the app for you. 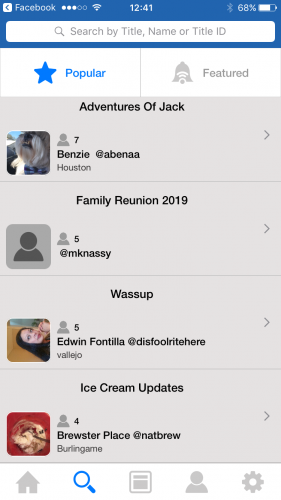 Pingtumi is a notification/social media service that allows you to follow your friends, as well as other people and be notified of where they are and what they are doing through the posts that they make. The way these posts work is similar to a subscription feed. First, you create a feed around whatever theme you want by giving it a title and picture. Second, you invite people to subscribe to your feed. Finally, you add posts to your feed that can contain your location, a title, a picture, and a message. All of your subscribers will be notified about your post and be able to leave comments on it. It’s a very simple and focused alternative to other social media outlets, and I suggest that you give it a try and leave a review! This app is for all you coffee addicts out there! Roastafarian is an app that helps you keep track of your favorite brews. 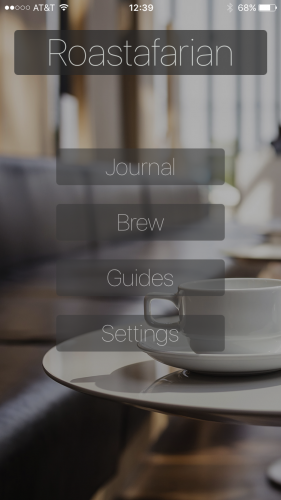 You are able to keep a journal including the coffee’s name, price, retailer, roaster, your personal rating of it, and any additional notes you might have about its flavor or preparation. Then, when you aren’t quite sure of what you thought about that weird coffee from a few months ago, you can easily search through your list of coffee brews by using keywords, ratings, origin, or most recent. You’ll always know exactly what to order or how to make your favorite coffee brews. If you’re a coffee nut, you should definitely give Roastafarian a download to help feed your coffee cravings. Sometimes map apps can be a bit hard to deal with, by filtering certain locations based on its complex algorithms and searching within its own, unchangeable radius. Near Vicinity eliminates those problems by allowing you to search for keywords in location titles and determining your own search radius. Just search for location titles or tags in the search bar. Then, pick your search radius, which can be anywhere from 50 meters to 10,000 meters. Near Vicinity will show you all of the locations that meet your search criteria and provide them for you as map pins, or in a list. You can tap on them for more information about the location and also favorite that location so you can find it easily the next time. 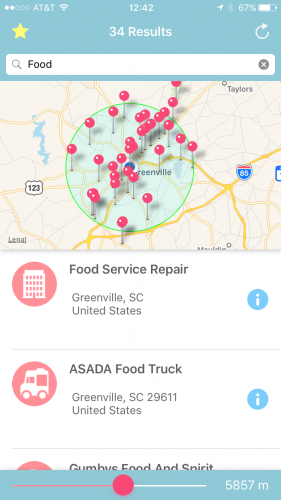 Near Vicinity is a great way for you to keep track of your favorite locations, or just search nearby to see if your favorite restaurant exists while you’re visiting a new place. Let’s be honest, the default calculator app is somewhat limited in its capabilities. 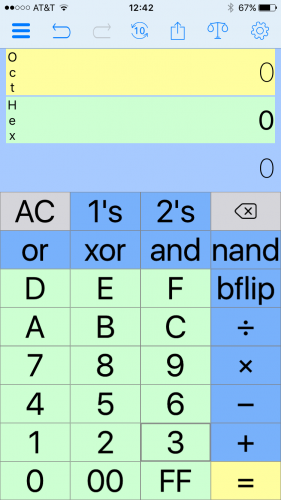 The aioCalculator (all in one Calculator) is for those of us who need to do more than what the basic calculator app allows. The aioCalculator app really is all inclusive as the name suggests. It includes multitasking, a unit converter, a history page that allows you to see previous calculations, undo and redo capabilities, and many other features. It even allows you to share the results of your calculations with your contacts so that they can stay up to speed with how much you’re getting done, thanks to your fancy new calculator app. If you are in need of a calculator that allows you to perform strenuous calculations, as well as reviewing previous calculations and sharing them with your contacts, the aioCalculator is here to help you out. Download it for free and without ads! 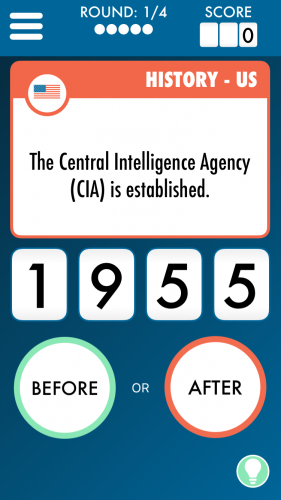 Everyone loves a good bit of trivia, especially whenever it’s in the form of a competitive game. Eventology allows you to pick whether or not certain events happened before or after a given date and then gives you points based on how many you got correct in that round. You can play solo to test your history knowledge from a range of different historical periods or be more focused and complete every challenge in the “Journey Through Time” tab. This challenge mode takes you through different eras of time from The Big Bang to Stardate 41254.7. Then, once you feel confident, challenge your friends or anyone else online to show them that you are the true history buff and that your knowledge cannot be surpassed! I’ve had a great time playing and learning with Eventology and I bet you will too! If you travel internationally a lot and would like to keep track of different countries exchange rates, as the name suggests, Rapid Currency Converter will help you to do just that. You pick your home country and then pick from a list of many other countries to compare your currency rates with theirs. You will easily be able to see what your buying capacity in that country will be before you get there and it is all stored in one place. The app can also be used offline, though it may be a bit inaccurate depending on when you were connected to the internet last. 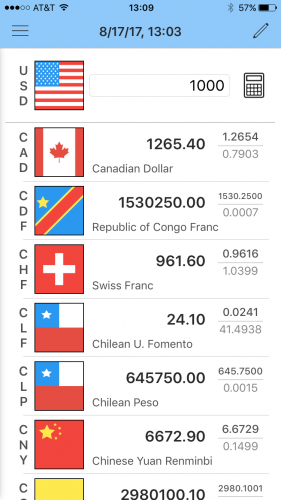 The Rapid Currency Converter World Exchange Rates List app is the perfect companion for anyone that does a great deal of international travel, stock market trading, or just has an interest in world economics. Try it out, it’s a lot easier than sifting through google search results. If you want to be able to track your monthly income and daily expenses without all of the hassle of inputting every bit of personal information, then Fialy is the perfect financial assistant for you. Fialy helps you to keep track of your income and expenses in a simple and intuitive way. You just tell it when and how much you received from your paycheck each time you get paid. Then, whenever you make a purchase, just log it in Fialy and it will tell you your remaining budget for the month. 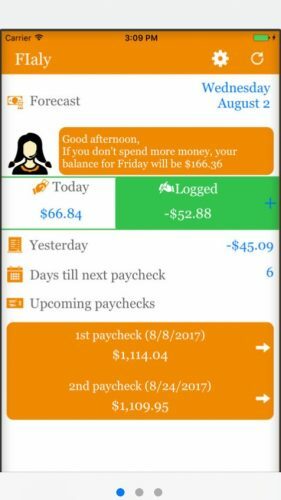 It is much less complicated than the other financial assistant apps out there and is great for those people that like to manually input their budget data. If you’re looking to get into budgeting in a simple way, then use Fialy for a bit and see what you think. If you saw an app you liked, hop to the App Store and leave a review! A good review always makes a dev’s day. And make sure you tell them you’re from raywenderlich.com; this is a community of makers. If you’ve never made an app, this is the month! Check out our free tutorials to become an iOS star. What are you waiting for – I want to see your app next month.